I read this article and found it very interesting, thought it might be something for you. The article is called Magnified: Glory and is located at https://www.totallydublin.ie/more/magnified-glory/. 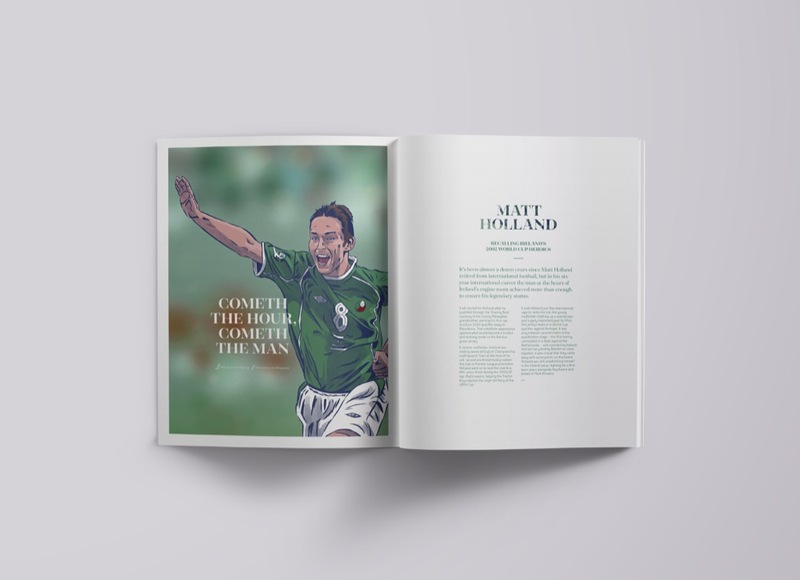 Glory is a football magazine with an ethos to put the ‘beautiful’ back in the beautiful game. They travel the world documenting alternative football cultures including the most remote, exotic and unusual destinations. Lee Nash, a Co-Founder and Creative Director, plays ball with us. What are the origins of Glory? Were you all football fanatics? What did you want to realise from the creation of the magazine? It all started when I noticed a post on Facebook from Ryan (Head of Photography and co-founder), looking for a designer to collaborate on an idea that he’d had. 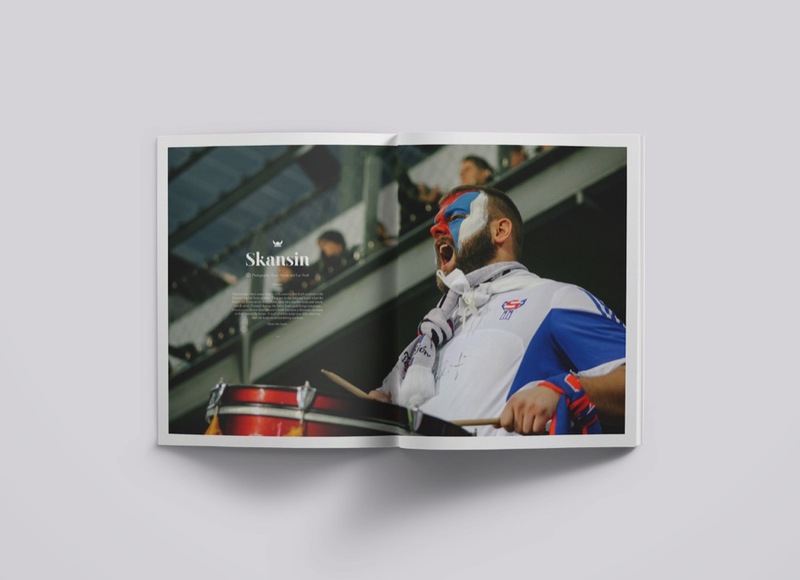 We had worked together at a previous advertising agency a few years back, but after meeting for a coffee it was pretty clear that his idea to create the most beautiful, high-end football publication had potential. 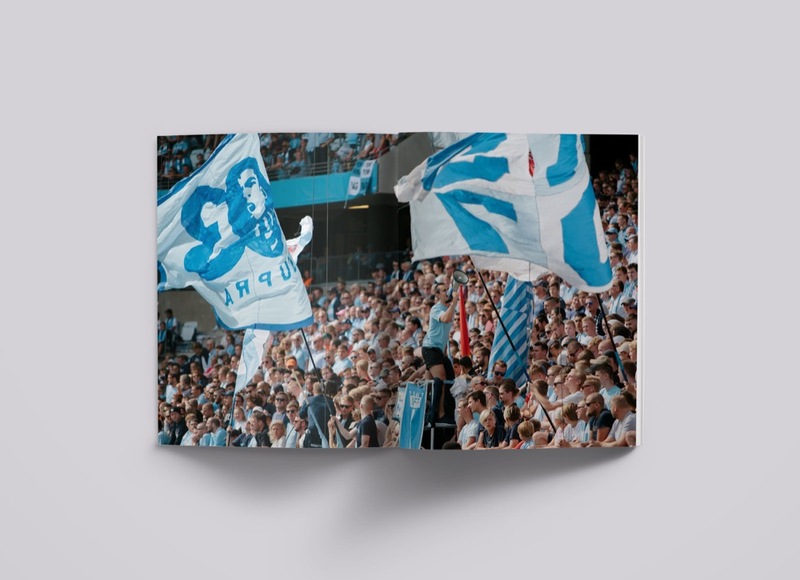 Within weeks, this idea and enthusiasm had propelled us to pitchside at a European Championship qualifier in The Faroe Islands, and the magazine started to gain traction from there. On returning from the Faroe Islands we had lots of content but no writer – it was at this point we met Louis, and our modest team of three was complete. It’s fair to say we’re all fanatical about football – I think it’s impossible to produce anything well without having a passion for it. I’ve been following football since I was 5, and I’m a massive Liverpool fan (they won the double when I was 7, so there was only ever going to be one team for me). I’ve also followed England home and away, as well as attending as many matches as possible in East Anglia (the home of Glory HQ). Ryan is a season ticket holder at Carrow Road (Norwich), and Louis, our Head of Copy, is a big Arsenal fan. Louis has recently moved to Vancouver though, so has a newfound love of the Whitecaps and the MLS. The Faroe Islands, Kosovo, Sweden and Ireland – the locations you’ve chosen for your first four issues – would be mostly considered mostly minnows in the pantheon of countries noted for their football prowess. How did you select them? Each destination has pretty much selected itself. The Faroes was a natural first choice for a very image-led magazine, mainly due to its other-worldly, stunning backdrops. It’s also got the largest percentage of football fans to population ratio in the world, so we were intrigued to learn more. 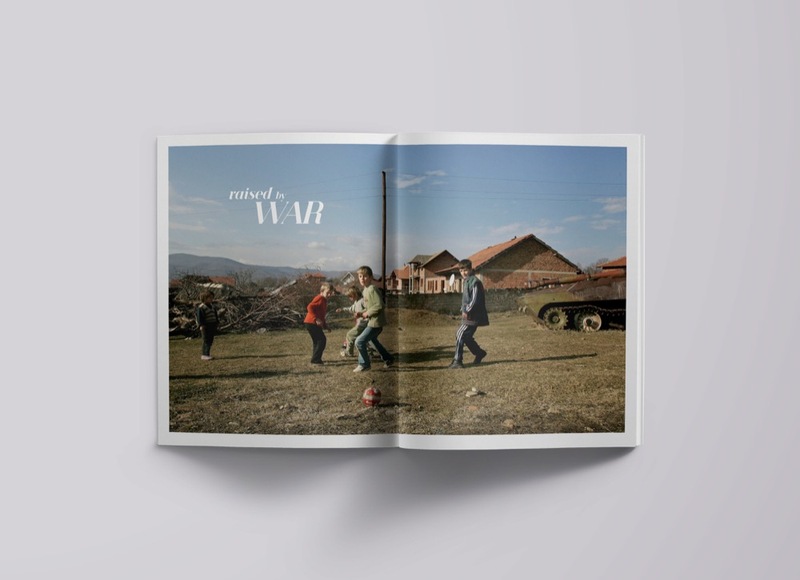 At the time of selecting a destination for the 2nd issue, Kosovo had just been affiliated by FIFA after years of political wrangling, so we wanted to witness a little bit of history being made and ended up documenting their first ever ‘official’ home qualifier (albeit in Albania). Sweden was chosen because of the ‘Zlatan’ factor – we wanted to know whether there was more to the country’s footballing landscape than just the great Ibra himself, who had just announced international retirement. And, finally, Ireland was chosen purely to showcase football on our UK doorstep, and to prove there really is life outside the bloated English Premier League. Although the stature of some of the countries have been modest as regards FIFA rankings, each have thrown up some amazing experiences and stories to tell. How did you set about planning the Irish issue? Who did you contact? What surprises were unearthed for you whilst working on it? We tend to follow a similar process for every issue – it involves heavily researching each country by reading websites and forums, watching videos and documentaries, listening to relevant podcasts and contacting fan groups for extra insight. As Glory is so visual, we also look for beautiful landscapes, quirky football pitches and places of interest. Once we feel we have a loose content plan we’ll then put a proposal together and approach the football association or tourist board to see if they’re interested in collaborating. In the case of Ireland, the FAI instantly got what we were trying to achieve, and both Gareth Maher and Kieran Crowley were instrumental in the success of the latest issue, suggesting clubs to document and facilitating interviews. We also contacted many of the domestic clubs directly who were very accommodating and gave us the access we needed for photography and player interviews. Although there is always an outline itinerary in place, we try and ensure every trip has allowances for exploration off-schedule – it’s this time that often unearths some of the best content, and we’ve sometimes found ourselves travelling in the opposite direction than initially planned as we follow a recommendation from conversations we’ve had once in the country. A good example is learning about Achill Island (and Achill Rovers) when we arrived in Dublin – we were told it was the most stunning, must-visit island off the west-coast, and we weren’t disappointed. This was coupled with the legend of Joey N’do (former Cameroonian International), who some say was the greatest footballer ever to set foot on Irish shores, and who was a former player and coach of Achill Rovers. 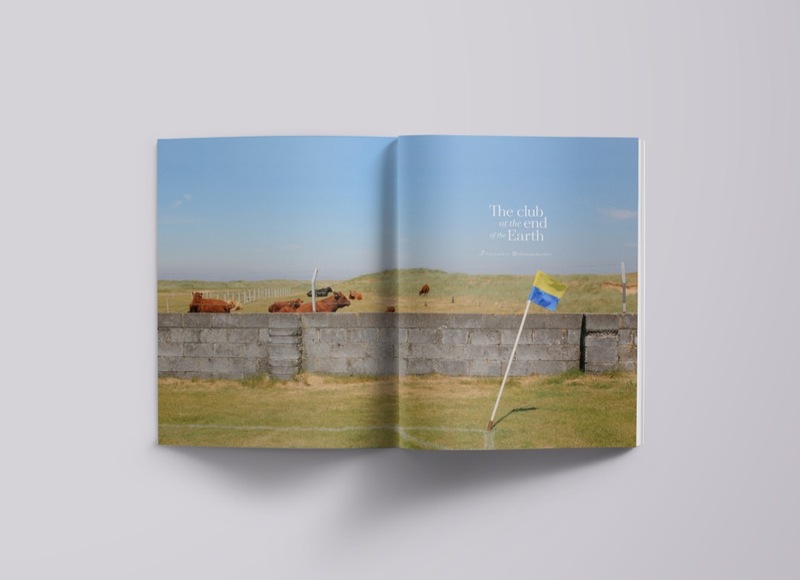 After a quick phone call to the Vice-Chairman (and Head of Achill Tourism) Seán Molloy, we were documenting the club a few days later – it proved to be one of the best features in the latest issue. 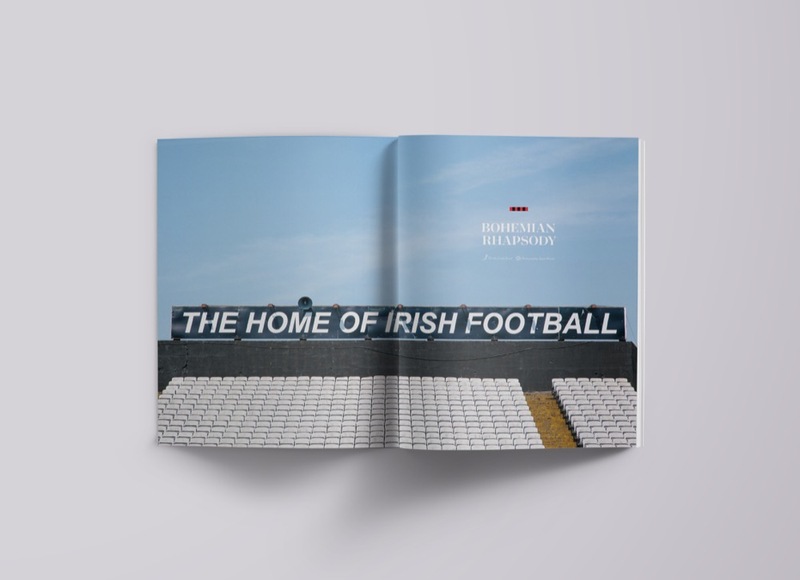 The editorial choices are very much about re-emphasising that the beautiful game is still beautiful – from stories about Achill Rovers to Bohs in the Irish instance – do the big leagues and surfeit of money washing around the game threaten this perspective? It’s very easy to forget a time before money ruled everything in football’s elite leagues – when Chairmen were local businessmen, and not oil-rich Sheikhs or Russian billionaires. We set out on the Glory journey as a reminder to ourselves and others of what football can truly mean. We’ve witnessed grown men crying in the stands during Kosovo’s first ever qualifier and spoken to many part-time players who travel for hours via trains and ferries just to turn out for their domestic team, all whilst juggling a career and a family, and for a modest wage. Football is a real passion that unites so many, but the gulf between player and fan is ever-growing as more money gets pumped into the game at the biggest clubs. What other magazines have inspired you whilst creating Glory? What’s your dream destination? The independent magazine scene is incredibly exciting at the moment, with a real upsurge in brilliant printed publications over the past few years. And there’s no shortage of great football magazines, each which have influenced us in some way. Rabona, Mundial, Shukyu, Season, The Blizzard, Nutmeg… each are showcasing the beautiful game in their own unique way. And although we’re all documenting the same sport there’s absolutely no rivalry between us – we’re all happy to promote each other and share insight. Regarding dream destinations… somewhere hot would be nice! It’s fair to say with our locations to date we’re not in it for a suntan, but to be honest we’d get as much enjoyment documenting The Faroe Islands as we would The Maldives. The possibilities of destinations are endless – as long as there’s a story to be told, it’ll always be considered. What have been the greatest challenges and most delightful surprises in working on Glory? I think every independent magazine faces similar challenges – increasing and maintaining readership, distribution, funding contributors to the magazine and constantly moving the publication on so it always feels fresh. From a travel point of view we’ve had a few issues around language barriers and stumbling into the ‘wrong part of town’, but that’s to be expected when you’re a guest in another country – we’ll always try and educate ourselves on the customs of a country beforehand so we don’t unintentionally offend or stray where we shouldn’t. But Glory has thrown up so many amazing experiences, and each issue is genuinely a joy to create. One of the highlights has to be singing karaoke with ‘Skansin’, Faroe Island’s die-hard supporters’ group, literally within hours of landing in Torshavn. Such was their hospitality we ended up sleeping in their homes after drinking until the very early hours of the morning, hearing first-hand their stories of the giant-killing victories over Greece (still to this day the biggest ever upset in international football) and tales from their domestic league. In fact, we’re still in touch with many of the fans and players we’ve met in the four countries we’ve visited, all united by the same passion for the beautiful game – that’s the real joy of Glory.